Here’s FVDI (which now updated to 2nd generation FVDI 2) with CAS 3+ in action. 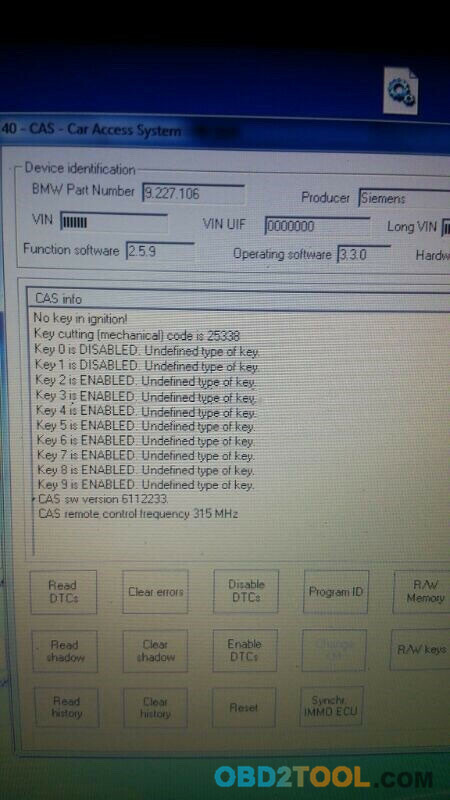 As we can see on picture, after reading CAS Keys data, we can easily make new key by OBD. 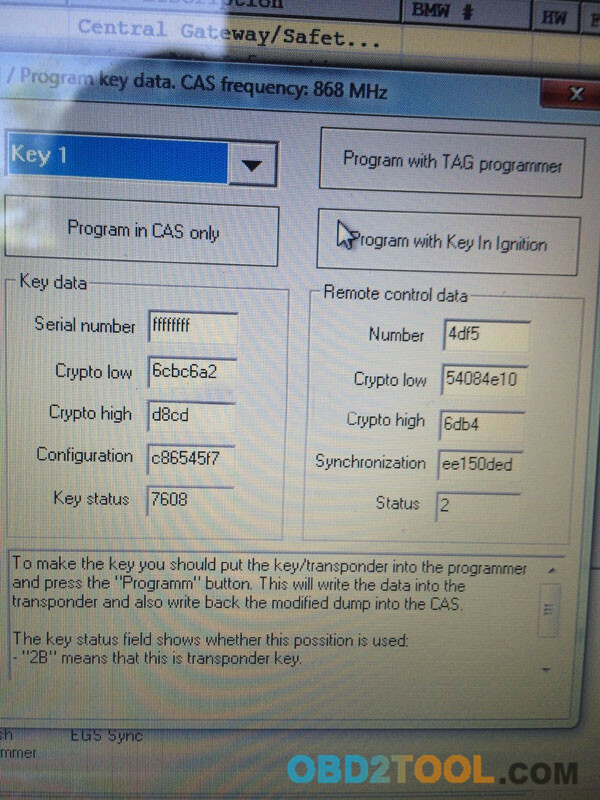 Either by TAG key tool (antenna) or directly in Ignition Switch, its just a matter of 3 mouse clicks. Any existing key on that position (for example, we choosed Key 1) will be overwritten by the new key. To know which position is occupied, we must look at Serial Number and Key status. If Serial Number is ffffffff and Key Status is 7608 means that position is Free and no key registered. But instead, if Serial Number contains data and Key Status shows 2B00 or 4B00, means there is already a key registered on that position. FVDI ABRITES Commander for BMW CAS Info screen tells you about key in ignition, and gives you information such as if a key is enabled or disabled.